Have you ever wondered what it’s like to stay in a luxury hotel? Luxury hotels can take your hotel experiences to the next level, and in this post I will tell you some of the benefits and features, which are based on my experience. 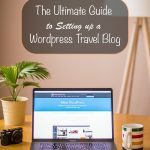 Not all these things are applicable to every luxury hotel, so do your research if there is something you are after. The below points are based on my own experience staying at various hotels including Shangri-La, Sheraton, The Luxury Collection, and Alpen Palace Spa Hotels. Especially in the best luxury hotels you’ll find that everything from the exterior, the reception, lounge and all other public areas will have a beautiful and fancy design. You may feel like you are somewhere special from the moment you walk through the door. 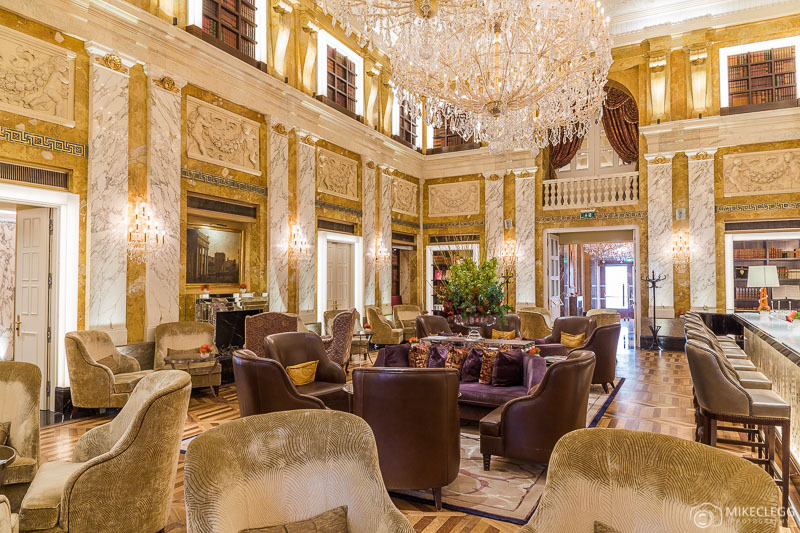 The picture below was one of the bars and lounges at the impressive Hotel Imperial Vienna. 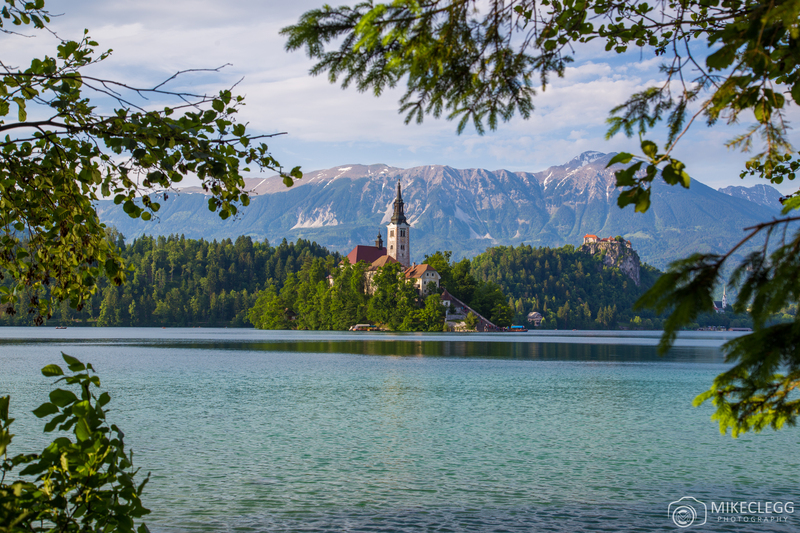 Following on from the moment you walk in, some luxury hotels such as the Shangri-La, Luxury Collection Hotels and Alpen Palace have an amazing scent as you walk into the hotel and also in the corridors. Little things like this are extremely pleasant and adds so much to your experience. Security tends to be very good at Luxury Hotels. Often with cameras and special card access to the rooms and even when using the elevator to your floor. In the room, there will likely be safe as well. Although you don’t always see them there is often security guards on watch too. Many luxury hotels will be well equipped and offer facilities including conference and meeting rooms, as well as facilities for wedding and banquets. 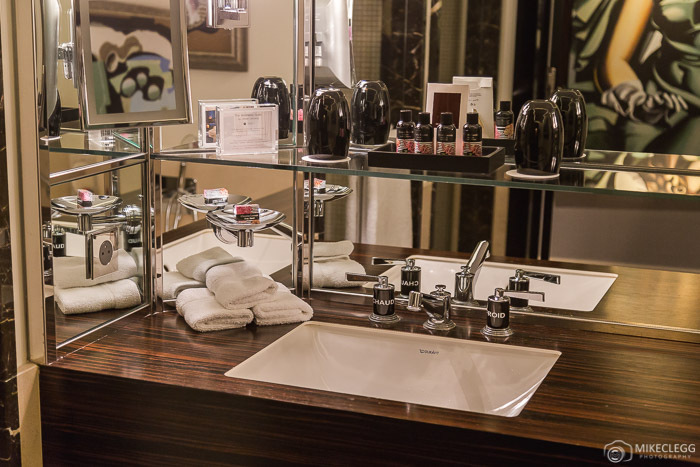 The service you receive at a luxury hotel should be exceptional and the staff will often provide a great deal of personal care. Often luxury hotels employ a lot more staff who will be highly trained at their role. 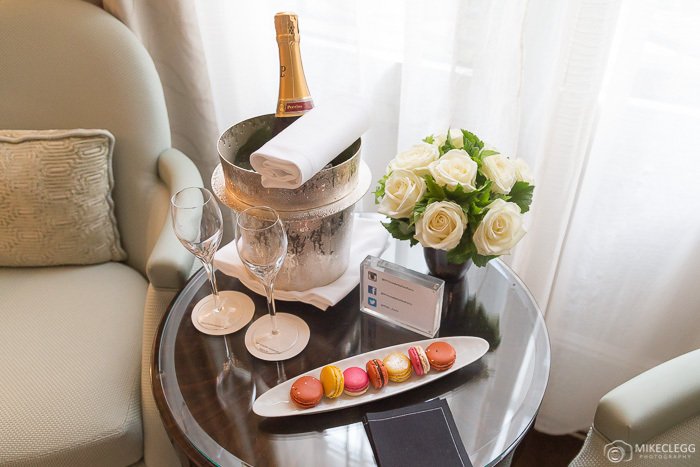 Another thing luxury hotels will often try and do, is to accommodate special requests, such as requests relating to marriage proposals and other romantic occasions, birthday related and more. Have you ever asked a hotel for a special request, and what did they do? 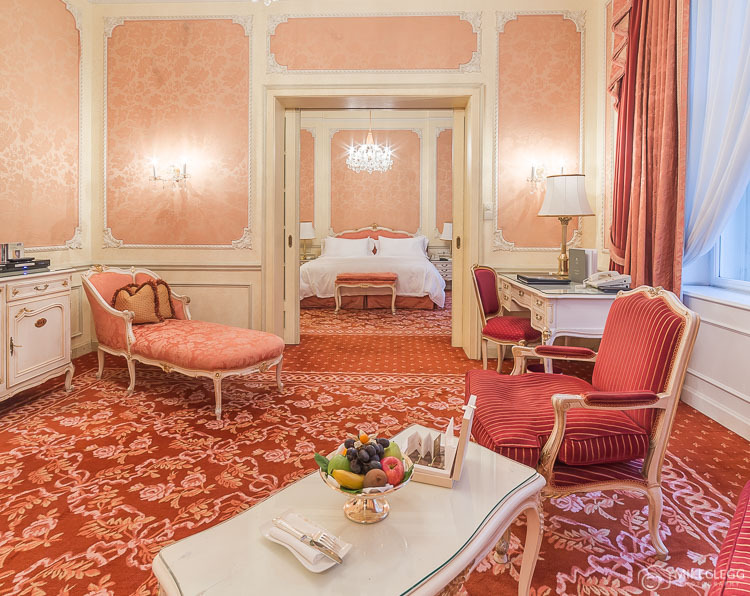 Luxury hotels can have the most beautiful rooms. Sometimes they are designed according to a genre or the local destination and this is often the case with “The Luxury Collection” brand. You may find the room to be extremely cosy and you will want to spend lots of your time there. 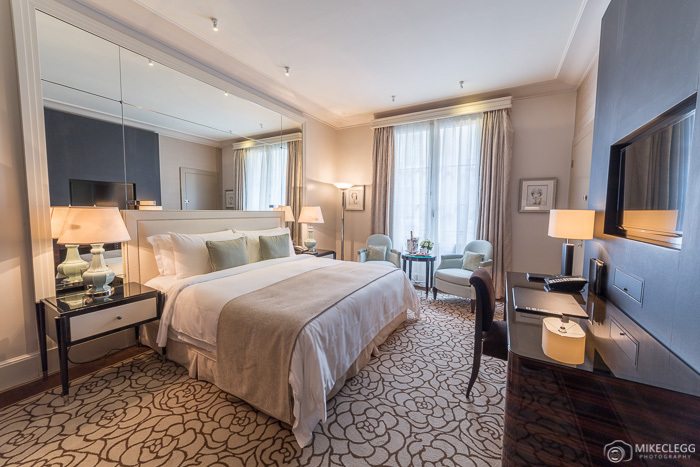 This is the beautiful room I had at Prince de Galles in Paris. I’ve had some of the best nights sleep I’ve ever had in luxury hotels. The beds are often extremely large and comfortable and the sheets are heavy, and you feel so cosy you may struggle to get out of them. You are also likely to get a large number of pillows. Rooms will almost definitely come with lots of amenities and everything you’d probably need. The amenities may include robes, slippers, coffee machines, large TV with lots of channels, spacious desks, minibars, lots of lots of towels, high-quality toiletries and more. 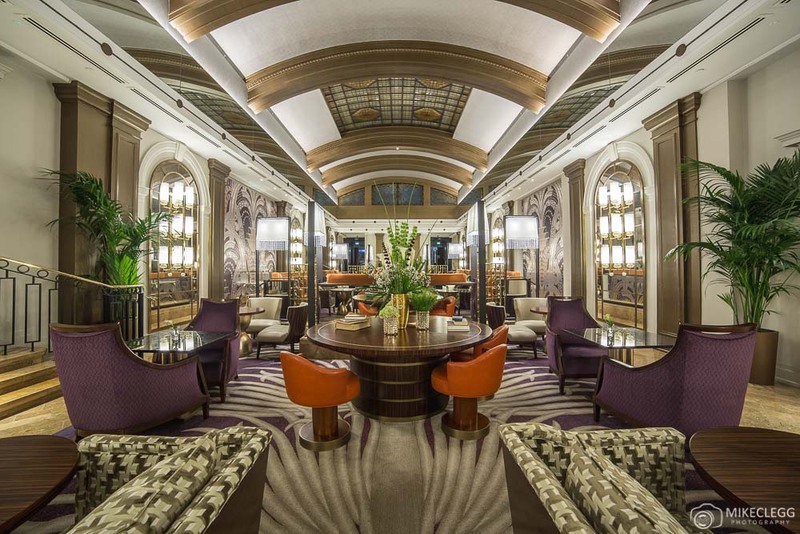 Most luxury hotels have a couple of bars and restaurants, often serving different cuisines or have particular styles, ie at the Sheraton Grand London Park Lane there was an Italian restaurant and an English restaurant, as well as the beautiful bar and lounge seen below. Some luxury hotels even have Michelin Star restaurants in-house. 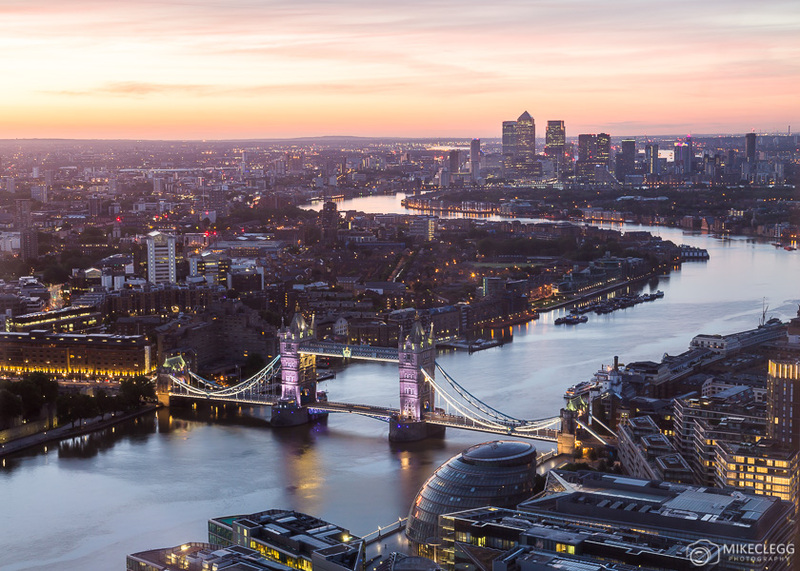 Luxury hotels are often in tall building and may provide the best views of a city, such as this view I had from my room at the Shangri-La At The Shard in London. Even if you don’t have a good view in your room your hotel may have a rooftop patio, bar or restaurant. In the Shangri-La there is Ting restaurant, which is located on the 35th floor. 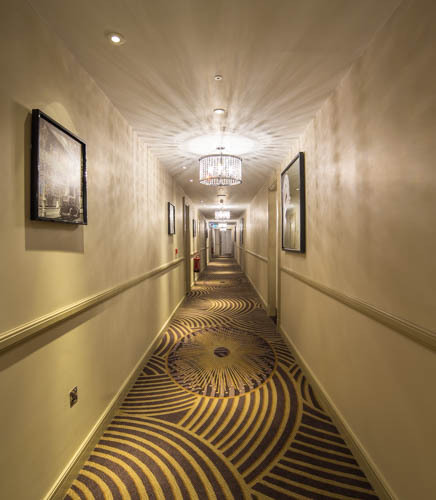 Everywhere tends to have a wonderful ambience and as you walk along beautiful corridors to your room you may hear peaceful harmony’s. The Sheraton Grand London Park Lane has beautiful relaxing music in the corridors, and as you walk to your room this brings instance harmony. 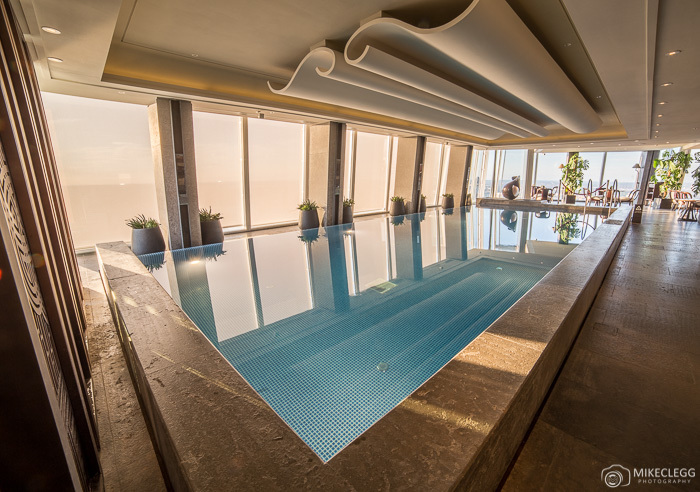 Not every luxury hotel will have a pool but many of them do. Some of them have rooftop pools, heated outdoor pools and also indoor pools. 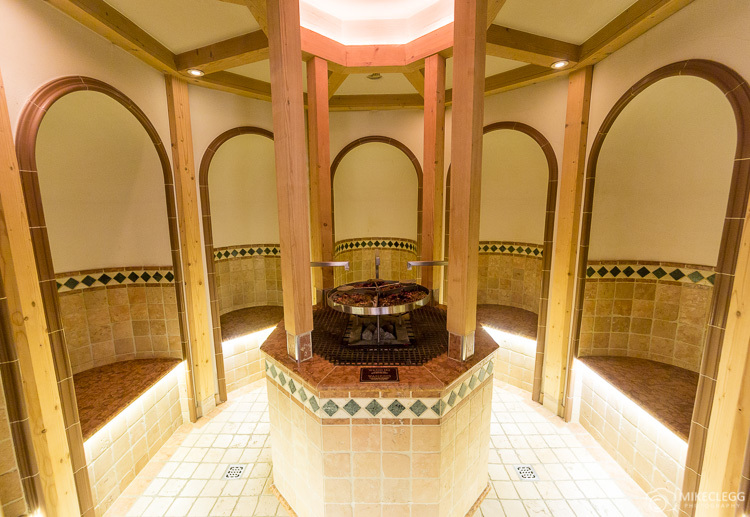 You may also get separate pools for children and hot tubs/whirlpools. 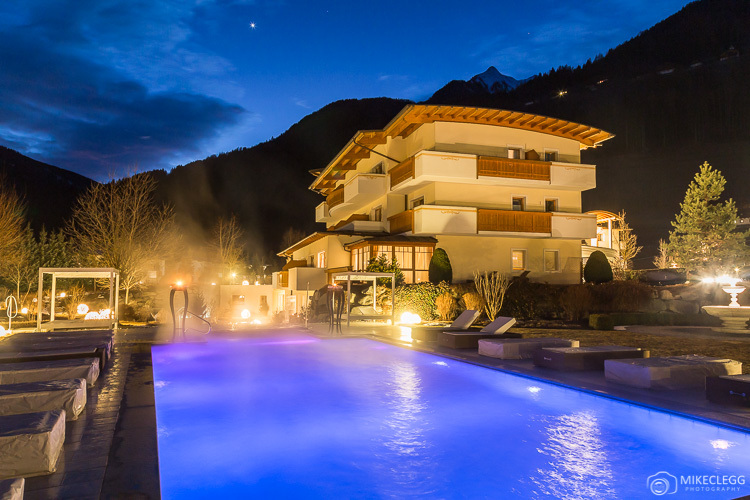 Some luxury hotels have onsite Spa facilities, such as Alpen Palace, South Tyrol which has multiple pools, steam rooms, sauna facilities and a vast selection of special treatments available. 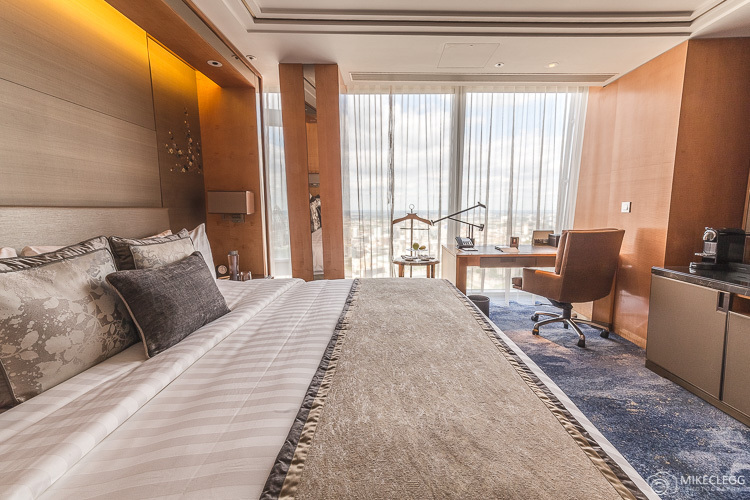 Most luxury hotels will offer suite facilities and these may be of varying designs and colours, meaning if you ever visit again you could pick a different style. Suites are basically rooms that include a separate bedroom and living room, and would also be ideal for staying for long periods of time if you have the budget. Some hotels provide incredible transfer services such as helicopters, limousines, a luxurious Rolls-Royce and even boat transfers, such as available at some hotels in Venice. I haven’t had some of these extreme transfer services yet, although whenever I am picked up the cars are pretty awesome, extremely clean and sometimes have treats such as sweets, drinks etc. 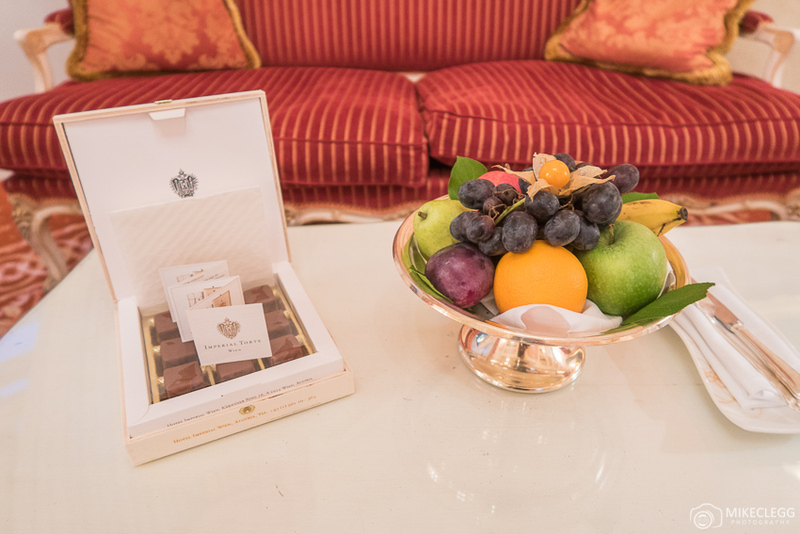 At some luxury hotels you may be welcomed with flowers, chocolate and other nice gifts, and when leaving you may also get something nice such as something local. For example at the Sheraton in London I got some traditional English tea when I leave, whilst when I arrived I had chocolate and some refreshing drinks. Gifts, unless stated, aren’t guaranteed though, but are rather a bonus. At most quality luxury hotels you’ll find they have a dedicated concierge. This is someone that will help you book tours, restaurants and provide other recommendations to help you during your stay. Staying in a luxury hotel is a fantastic experience packed with heaps of benefits. 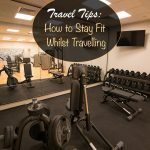 You’ll find incredible hotels all around the world that are worth considering and will provide many if not all of the features mentioned in the post. Hey Buddy!, I found this information for you: "Benefits and Features of Staying in a Luxury Hotel". Here is the website link: https://www.travelanddestinations.com/benefits-and-features-of-staying-in-a-luxury-hotel/. Thank you.